When young Violet Sanford (Piper Perabo) finally follows her dream and moves to New York to become a songwriter, she knows little about the big city. All her efforts to get a demo tape to a producer are useless, additionally her apartment is broken in to, leaving her with nothing. But a coincidence leads her to Coyote Ugly, a night club where only beautiful women call the shots, using their female attraction to drive the guests just crazy. Violet manages to get a position and starts learning the ways of the city. After getting in trouble because of a misunderstanding, Violet's new friend Kevin tries to rid her of her stage fear so that she can perform her songs herself. Violet's father Bill does not like her new job as well as her leaving him, but it's all part of growing up. otsoNY Comments: The shots inside the bar were done on a sound stage. Coyote Ugly Bar, Little West 12th Street and Washington Street, Manhattan. This was a fictional bar and has since been demolished. 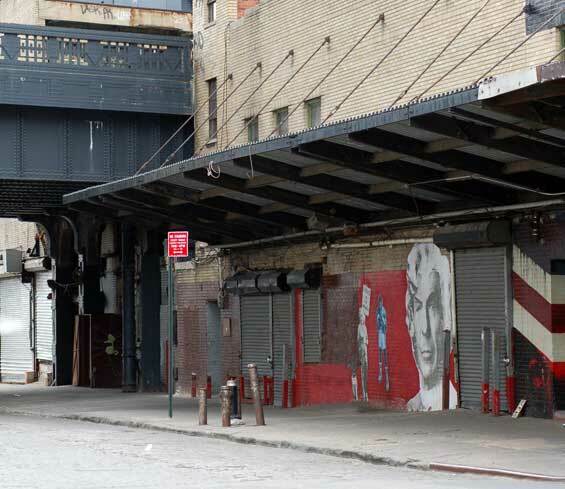 In 1884 New York City established a bustling outdoor food market called the Gansevoort Market, named after General Peter Gansevoort, a Revolutionary War hero and the grandfather of Herman Melville. 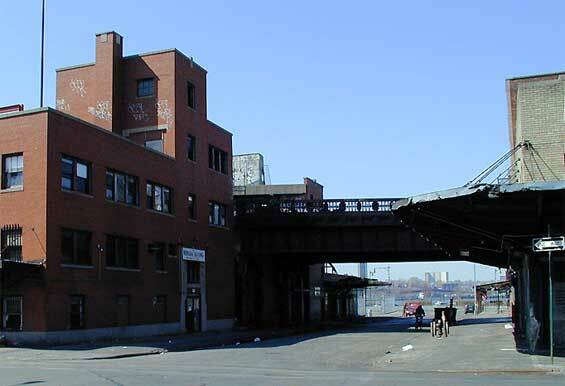 In 1949, the Gansevoort Meat Centre opened. 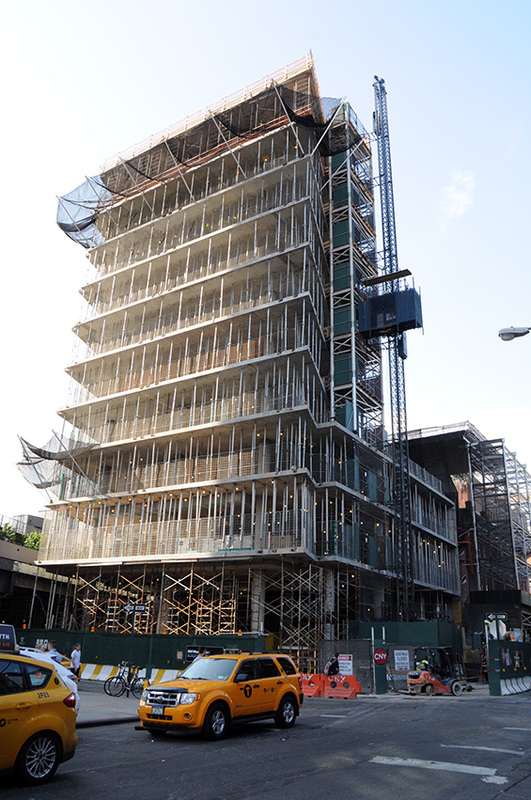 Today, the Meatpacking District is a 20 square block, 24-hour neighbourhood on the West Side of Manhattan, flanked by Chelsea Market to the north and Gansevoort Street on the south. 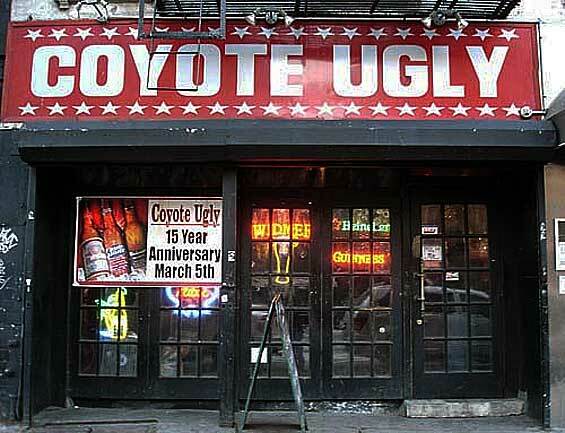 The real Coyote Ugly Saloon opened January 27, 1993 in New York City, after New York University alumna Liliana Lovell eschewed an internship on Wall Street for a career as a bartender. Lovell held several bartending jobs during college and perfected a routine of dancing on the bar, singing, and challenging customers to drinking contests. Applying a business model learned from her former boss, Tom McNeill, she began hiring young women and training them in the wild routine, which included such antics as chugging alcohol, setting light to it, then breathing fire. While some girls were good at singing, others good at dancing, and others good at yelling, Lovell found that not all the girls were talented in each of the three aspects, so she often paired girls with complementary abilities. In 2001, the second Coyote Ugly Saloon opened in Las Vegas at the New York-New York Hotel & Casino, as a franchise operation. In 2002, a new company-owned bar opened in New Orleans, Louisiana's French Quarter. In 2003, Lovell relocated from New York City to New Orleans, and is today primarily involved in the day-to-day corporate operations of the company from there. From 2001-2003, 19 bars were in operation across the United States. 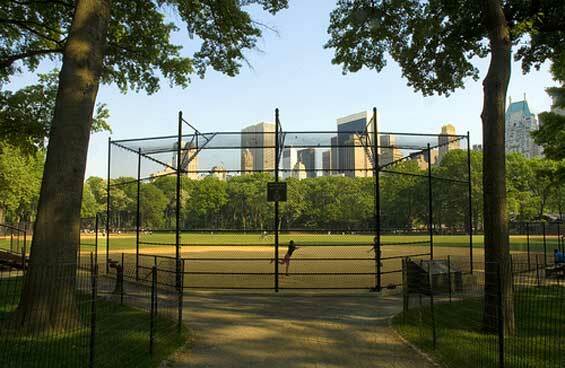 Several did not last more than a year or two, and five closed in a two-year span. In June 2009 the first new Coyote Ugly in three years opened in Oklahoma City. This brings the number to a dozen in the chain today. The location farthest west is the Las Vegas franchise. Location: Coyote Ugly Saloon, 153 1st Avenue (btw East 9th and 10th Street) Manhattan. 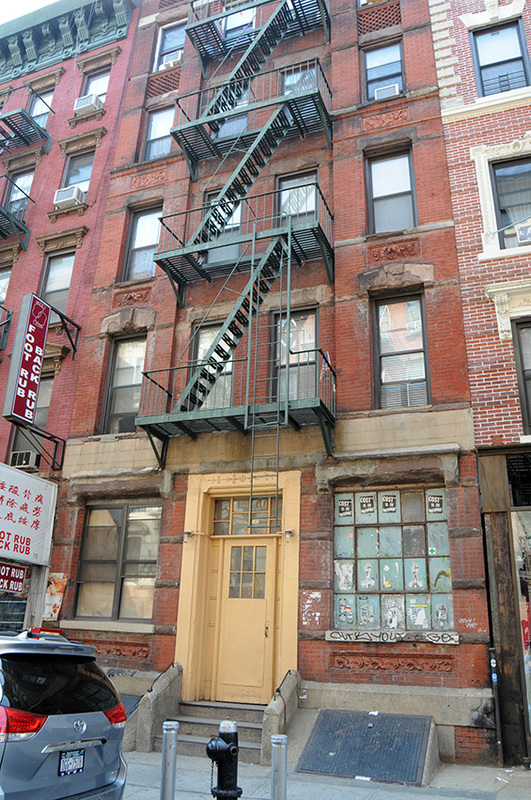 Voilet stands outside her apartment building in Chinatown talking with boyfriend. 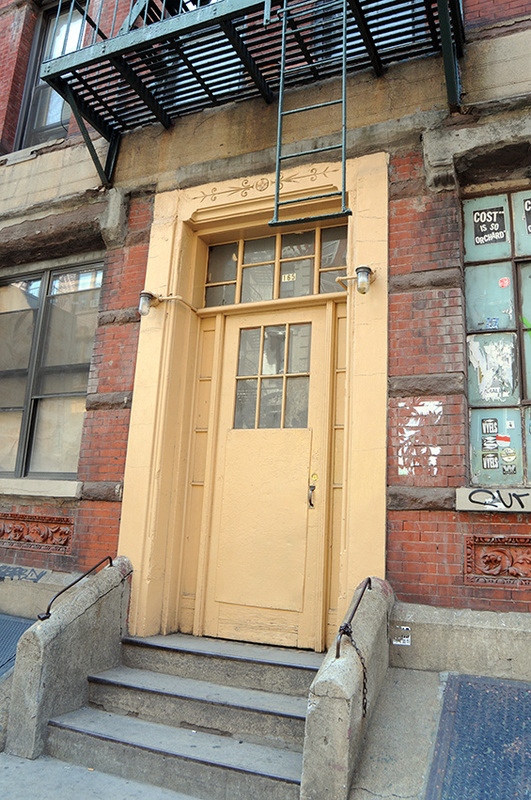 Violet Sanford's Apartment, 165 Mott Street and Broome Street, Manhattan. 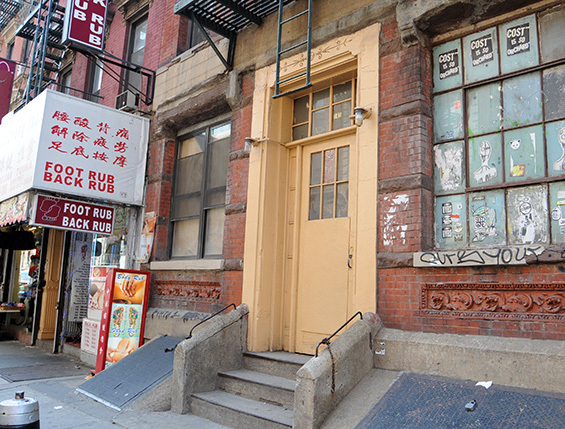 Orchard Street and Canal Street, Chinatown, Manhattan. Division Street and Orchard Street, Chinatown, Manhattan. 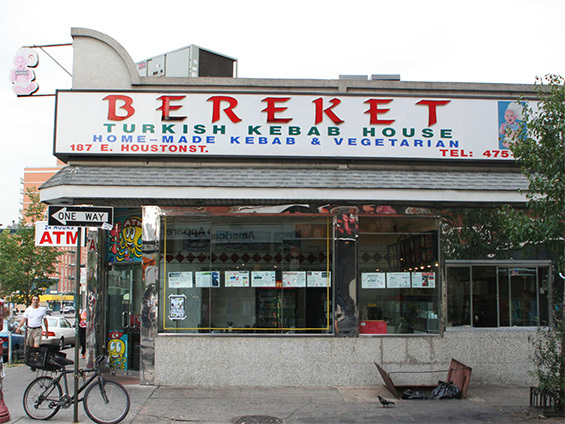 Bereket Restaurant, 187 East Houston Street and Orchard Street, Manhattan.